Its January and that time has come. I'm just sick of winter. Actually NYC has been really lucky - we've hardly had to deal any storms (yet! ), its brillantly sunny out right now and its not even that cold. I've just had my fill - I want warmer air, more hours of daylight, flowers blooming. The crisp cold air is great to get me into the holiday spirit but every year around now I grow tired of it. So what else is a girl to do but daydream about warmer climates and exotic locations? And my daydreams are quite dangerous because I tend to actually want to go to these places. For now, its all just a dream. Take a mental vacation courtesy of these amazing photos found on flickr. The best part? No packing necessary! And while we do have a few trips planned in 2010, none of the locales above are on the agenda as of now. So I'll just have to settle for the mental getaway for today. Where are you dream jetting off to? Italy and spain for sure! I'm actually dreaming of a long weekend in Brooklyn. ;) But Nepal and Mt. Everest is in my heart right now - I must go soon. Oooh, what trips are planned for 2010? I am always dreaming of a trip! It has been far too long. I too really want to go to the Taj Mahal and to Africa. Right now anywhere warm where the sun shines sounds good to me! I can't wait to hear where you are going this year. There are so many places I'd like to go! I think we are going to keep it continental this year and visit either Vancover or Newfoundland. Still undecided and the pictures you posted have me second guessing. First the desert (something Grand Canyon like). Then learn Italian and go to Italy. I agree. I think Greece or the Amalfi Coast would be perfect. Santorini, Greece is at the top of my list. So beautiful! Went to Greece and Italy last summer on a cruise. Santorini really is as blue and beautiful as the pictures. However, when you go, you don't need to spend more than a day there! I'm dreaming of a day off of work, no matter where the destination may be! Nice photos, but I'm afraid they aren't working!! The distant memory of warmth seems to have escaped my memory. I'm on a dream at this time everyday...its just dragging for some reason. I'm dreaming of Sri Lanka- my boyfriends home. Well not his home now, but where he was born. I hope to get there someday soon! Rome, Florence and New Orleans! Istanbul, Sicily, and Greece are all VERY high on my list... I dream of Istanbul on the daily basis! Anyway with sunshine. Moving from sunny Florida to dreary northern Kentucky is not good for my mood. I would love to visit India, Japan and New Zealand ! Definitely on life's To Do list. This year we're headed to Montreal. Should be fab ! Thanks for the gorgeous photos. So inspiring ! I happened upon your blog and I am obsessed. I absolutely love it. Everything about it--all of your ideas, pictures, everything. I love the paint color of your house--mine is quite similar to that but I love what you've done. I've added your link as one of the links I like on my own blog. Thanks for the inspiration. We stopped at Santorini on a cruise and it was magical. We definitely wanted to spend more time there. After reading Midnight in the Garden of Good and Evil, I so want to go to Savannah, Georgia. And spend more than two nights in NYC. Nice to dream even if it's just for a split second! I'm freezing over here~ cant wait til summer!!! It was 70 degrees here in Texas today....so I am dreaming of being in NYC! I love the cold for at least a few months. It was 20 degrees here last week and 70 this week! you won't believe me if I say New York City is my current dream vacation. You will believe me if I say to you that I have never been to NYC adn that I live in Croatia, Europe. Lovely pics, travelling is so addictive isn't it. This year we're (code for "I'm") thinking we might head State side. I lived there many many moons ago and would love to head back. Thinking of travelling around Christmas new year, as my office always shuts down then, so might as well make use of the forced holiday leave. The days are starting to get longer, thankfully. I hate January and February and can't wait for spring to arrive. Right now I'm going to have to settle for the Travel Channel. Oh, Santorini is fantastic! One of the most beautiful places I've been. We went on our honeymoon. You should definitely go someday! Would love to see you do a post on your tips for international travel (or maybe you've already done one?). You seem to be an expert. My husband and I are planning a trip to Australia and we're by no means world travelers so would love your tips! You and me both! I have posted on wanting to go to the beach! I'm still dreaming about it! I've been taking mental vacations all week. If I could, I'd probably pop down to mexico for some beach time, but that's mainly because it's the most realistic non-us, sunny location for us. If I had more time and money, I'd go everywhere! Been checking your blog for a week or so. Its fabulous!!!! Your home is wonderful and you've done an amazing job. You should be proud of yourself! As for getaways...I'm sticking to the road...I am afraid of terrorists in exploding underwear. I saw the Taj Mahal last year -- go!! Topping the travel lust list for 2010: Istanbul. And Bhutan. I got close -- went to Sikkim -- but still must see Bhutan. oh wow! Great photos. There are so many places i would love to go, but since we are adopting travels are put on the back burner. I will say, that we did go to Greece for our honeymoon and it was absolutely amazing! I hope you'll be able to go one day. Oh, just about anywhere tropical. Maybe Jamaica? I'm so sick of our Wisconsin winter, too. hello! new follower, and i love your blog already. so we should switch places for a week. I live in the middle east and the weather is beautiful- and i'm in love with your house!  i dream about limestones and brownstones everyday. nice to meet you! I love how you titled that a "mental getaway." perfect.